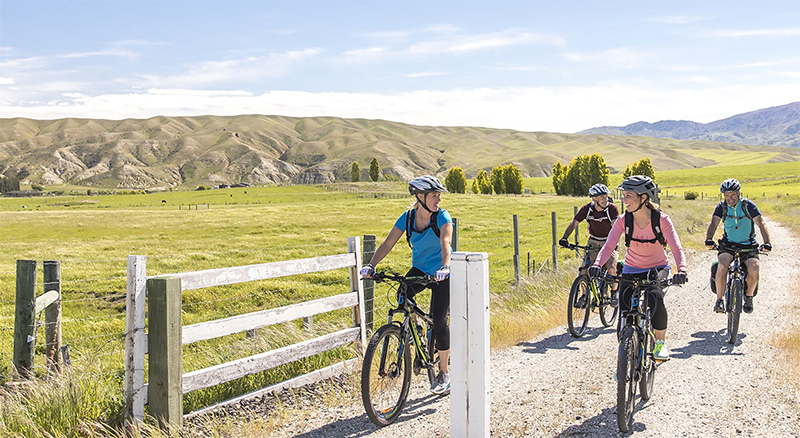 The once-gold-bearing valleys of Central Otago now house a different treasure: the 150-kilometre Otago Central Rail Trail. A gentle ride on hard-packed dirt, the trail follows the line of an old goldfields railway, meaning gradients are kind and there are features such as tunnels and high railway bridges to ride through and over. 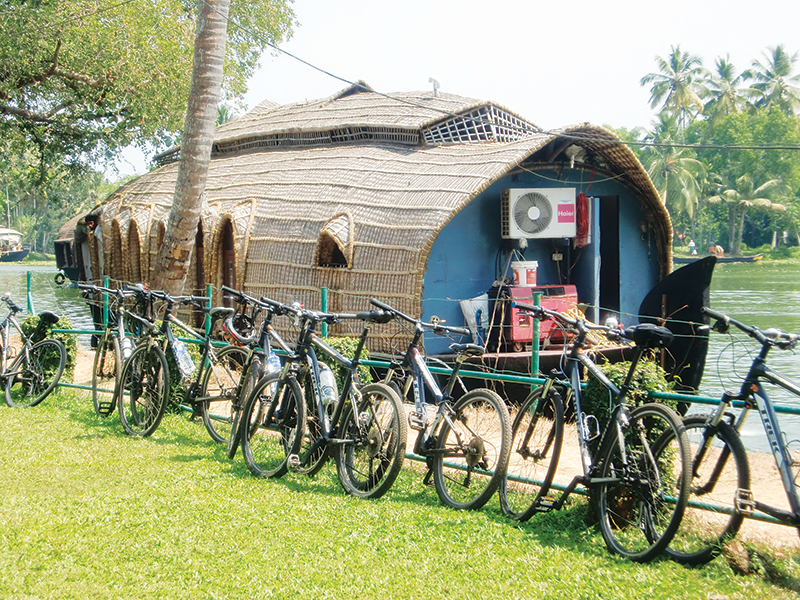 The trail, which opened in 2000, has revitalised the previously little-visited region, bringing in B&Bs and cafés and keeping alive the tradition of country pubs – there is, on average, a pub about every 12 kilometres along the trail. Easy detours include the likes of the Southern Hemisphere’s only dedicated curling rink. 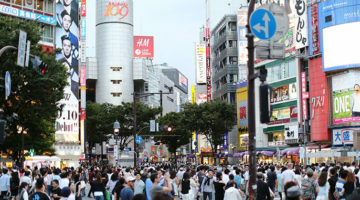 Allow three days to fully enjoy. 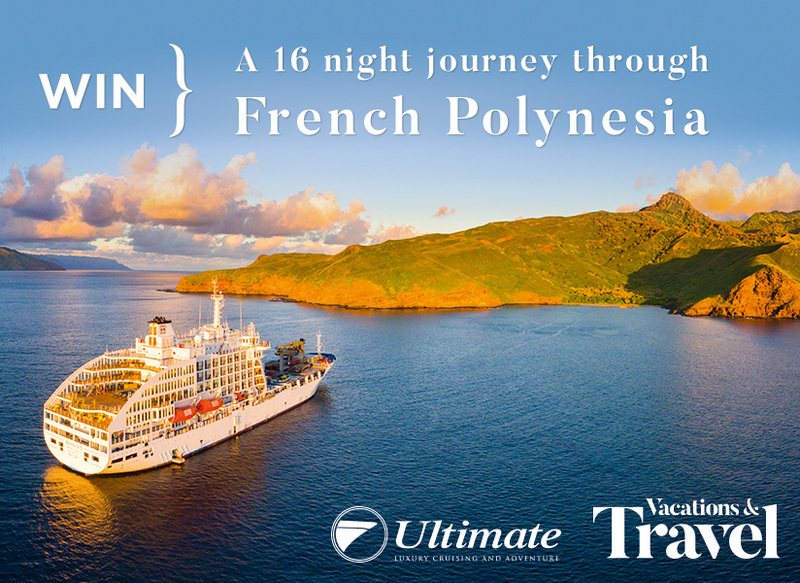 It’s a simple but enticing idea – begin near the foot of New Zealand’s highest mountain – Aoraki/Mt Cook – and finish at the ocean in Oamaru. 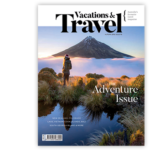 This 300-kilometre ride showcases so much that is good about the South Island – leaving the snow-tipped Southern Alps to follow a traditional Maori pathway through agricultural lands to the sea. Along the way there are glacial lakes that cast mirror images of the mountains, hot springs to soothe any tired muscles, and even Maori rock art. The best bit? By beginning in the mountains and finishing at the coast, the trend is downhill. Six days makes for a comfortable ride. 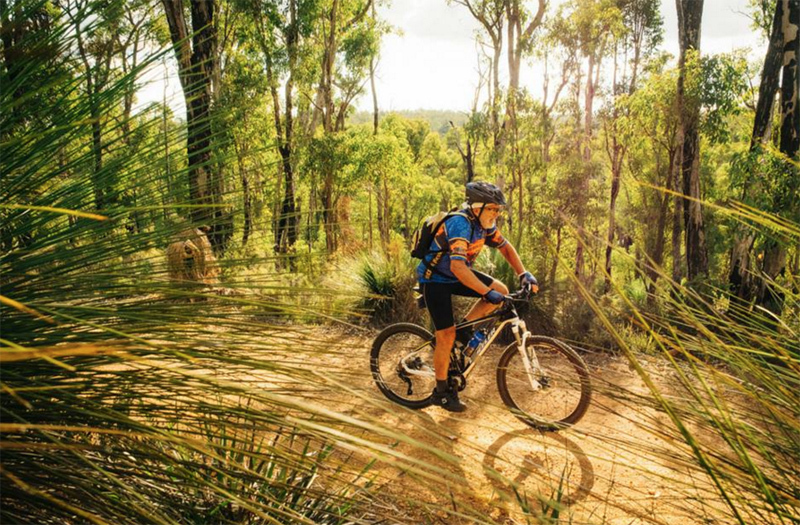 The trail that spawned Australia’s growing penchant for rail trails, Murray to Mountains runs from Wangaratta to Bright, at the foot of Victoria’s High Country, but it also has a web of side trails that could keep you busy (and well fed and wined) for days. The main route covers 95 kilometres – a good two-day ride with a stop in Myrtleford – and is predominantly flat. 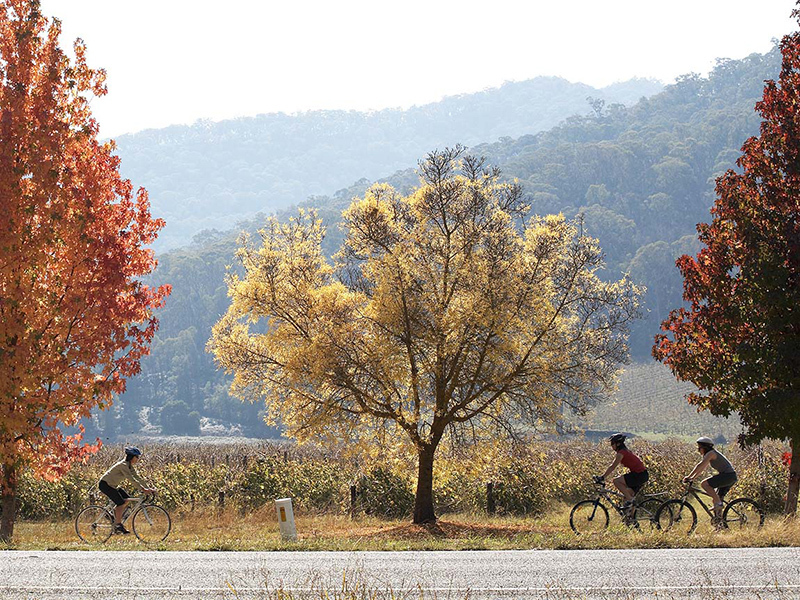 There are ample incentives, with the trail passing the front doors of Gapsted and Boynton’s Feathertop wineries, but to really reward that exercise-induced appetite, take the side trails to the Milawa Gourmet Region, the fortified-wine country of Rutherglen, or uphill into Beechworth. Walkers have long had the Bibbulmun Track through the southwest corner of Western Australia, and now cyclists have a parallel 1000-kilometre off-road ride, taking them through natural corridors from the hills at Perth’s edge to Albany. Along the way, the Munda Biddi Trail passes through the high karri forests around Pemberton and Walpole, and along some gorgeous sections of coastline between William Bay and Albany. The trail is entirely on trails – bring a mountain bike – and campsites with sleeping shelters and bike storage have been purpose-built along the route. Combined with towns, it means you need only pedal around 50 kilometres a day between stops. Allow 28 days for the whole trail – it is one of the world’s longest mountain bike trails after all. Long the favourite cycling destination in Asia for Australian travellers, Vietnam offers myriad options. A day of pedalling along the lanes and rice levees around Mai Chau will take you into the heart of every rice-field postcard ever printed, while a few days around the Mekong Delta, one of the flattest areas on Earth, is ideal for novice riders – there are even trips that duck over into Cambodia and Angkor Wat from here. Central Vietnam provides an all-round encounter with Vietnamese culture and landscape. Most trips here begin from the ancient royal capital of Hue, following the coast south to the gorgeous French-colonial river town of Hoi An. Turning up into the highlands from here puts some sting in the legs, but also provides an insight into Vietnam’s minority hill tribes and the country’s status as the world’s second-largest coffee producer. With a spate of bike-path construction in recent years, South Korea might just have become Asia’s most cycle-friendly country. Paths now follow major rivers, providing flat and easy cycling – it’s now possible to even ride the 600 kilometres from Seoul to the southern city of Busan on paths and dedicated bike lanes. 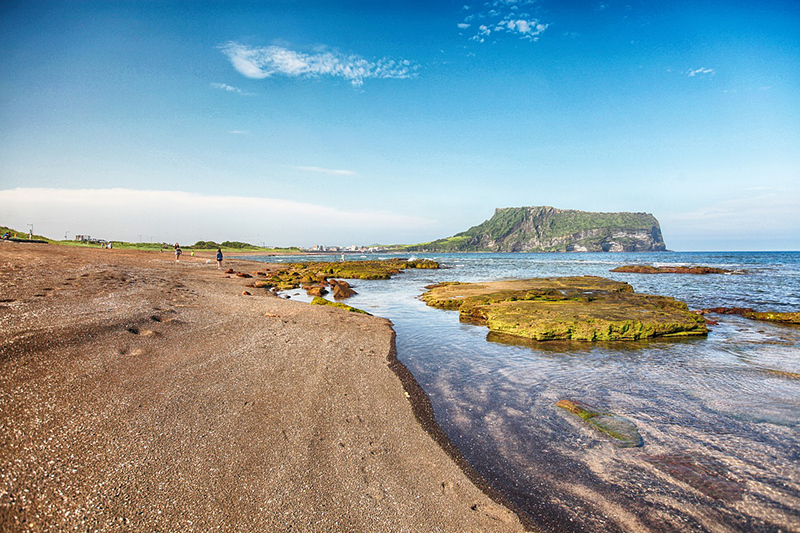 One of the most scenic cycling destinations in the country is popular Jeju Island, off the southern tip of the Korean Peninsula. A 200-kilometre-long bike route – a combination of bike paths and roadside bike lanes – circuits the volcanic island. 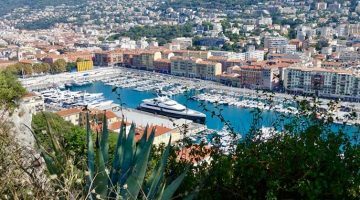 It stays mostly beside the coast, passing regularly through fishing villages and providing a lingering look at the island’s wild shores. The bristling limestone peaks of China’s Guangxi province form one of Asia’s most striking mountain landscapes, but they’re brilliantly kind on cyclists. 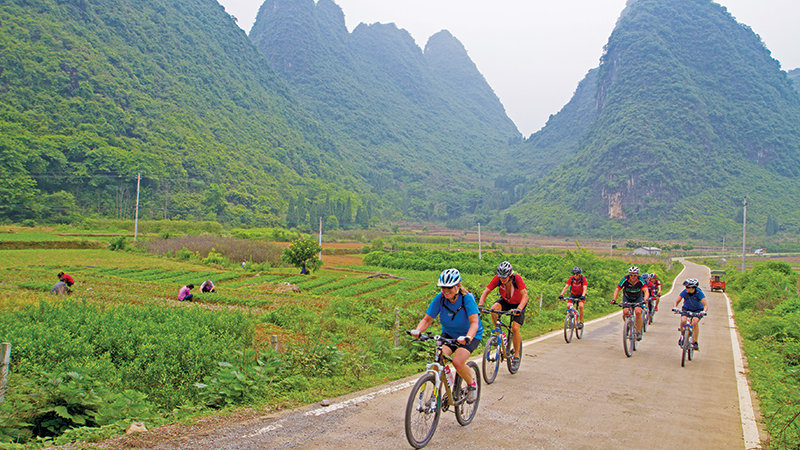 Agricultural valleys form a flat mosaic around the karst mountains, and the popular way to explore outside the tourist city of Yangshuo is by bike. To really gain an appreciation for the region, a number of tours pedal in from neighbouring, little-visited Guizhou province. You’ll ride over stunning rice-terraced hills and through hidden minority villages. The karst region makes for a stunning finish, passing ancient stone bridges arching over the Yulong River, and following the Li River, named by National Geographic as one of the world’s 10 watery wonders. 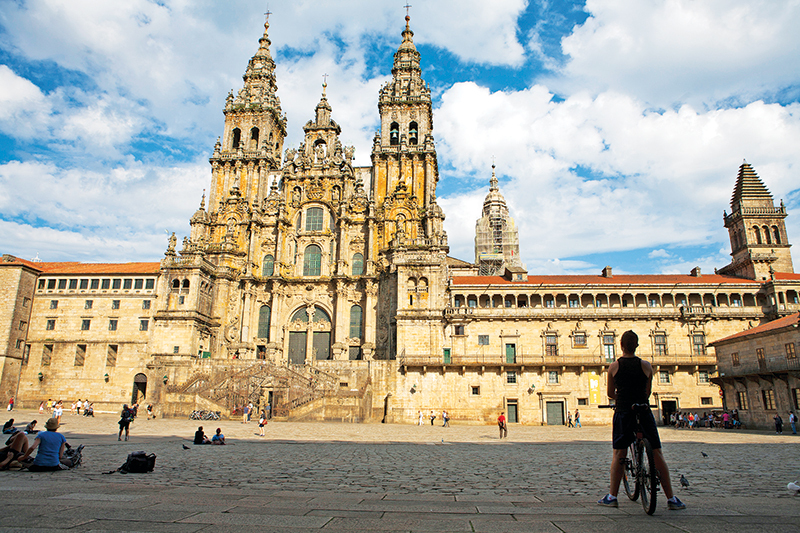 Pilgrims have been walking across Spain to the cathedral at Santiago de Compostela for more than a millennium, but in recent years they’ve been joined by a peloton of cyclists. Figures show that around 20 per cent of all people on Europe’s most famous pilgrimage are now cyclists. For many that means the ability to hurry through the dry meseta, the Camino’s most tedious section, and linger through the green hills of Galicia. 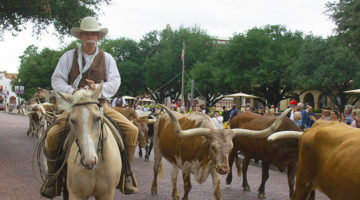 The ride brings plenty of climbs, especially at its western end, but expect great camaraderie among wheeled and walking pilgrims alike. To qualify as a cycling pilgrim, you must ride at least the final 200 kilometres of the Camino, making the city of Leon, 300 kilometres from Santiago, a popular starting point. To cycle the whole route from Roncesvalles in the Pyrenees is a journey of around 800 kilometres. For a lot of cyclists, the combination of bikes and beer is irresistible, which makes this ride through Bavaria a pretty compelling one. 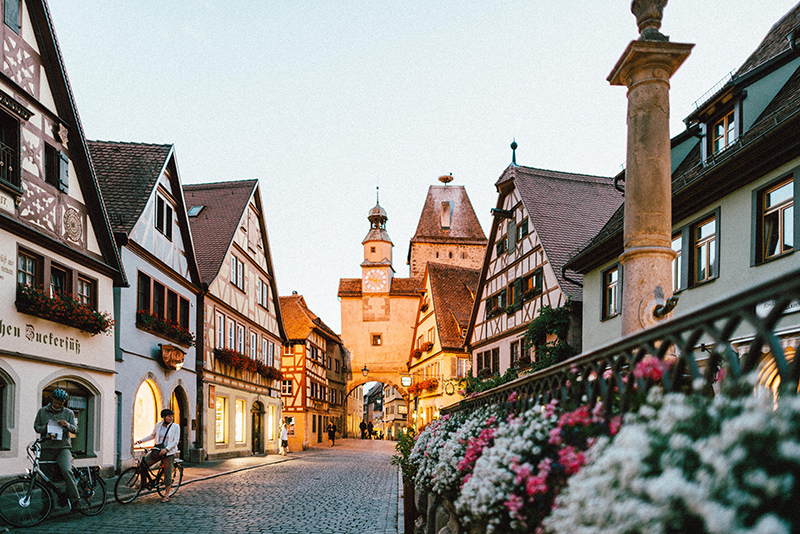 Beginning and ending in gorgeous, medieval Rothenburg ob der Tauber, the 340-kilometre ride circuits through Nuremberg and Bamberg before heading through the Aisch Valley, said to have the highest concentration of breweries in the world – about one per kilometre. The beer should be the only thing that slows you down, with the trail following bike paths, quiet country roads and flat canal towpaths from beer garden to beer garden. Beer lovers should be certain to build in a stop in Bamberg, once home to 65 breweries and now containing a separate beer trail of its own within the city. If you don’t mind cycling on roads, the Icefields Parkway through the Rocky Mountains is about as good as it gets. 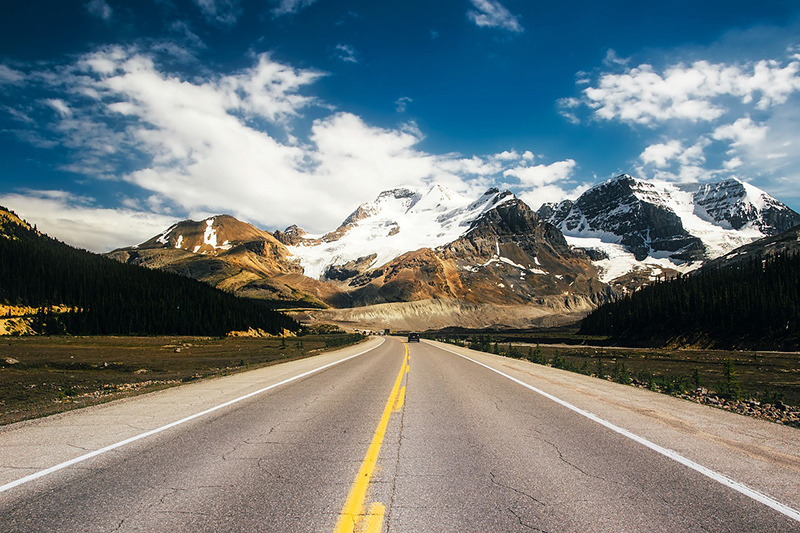 Often spruiked as the ‘most beautiful road in the world’, the parkway stretches between Lake Louise and Jasper, but is best joined to the Bow Parkway for a 300-kilometre ride between Banff and Jasper. The Bow Parkway is considered one of the finest roads in North America for spotting wildlife (expect bighorn sheep and elk – and yes, perhaps a bear – at any point), while the Icefields Parkway is mountain perfection. 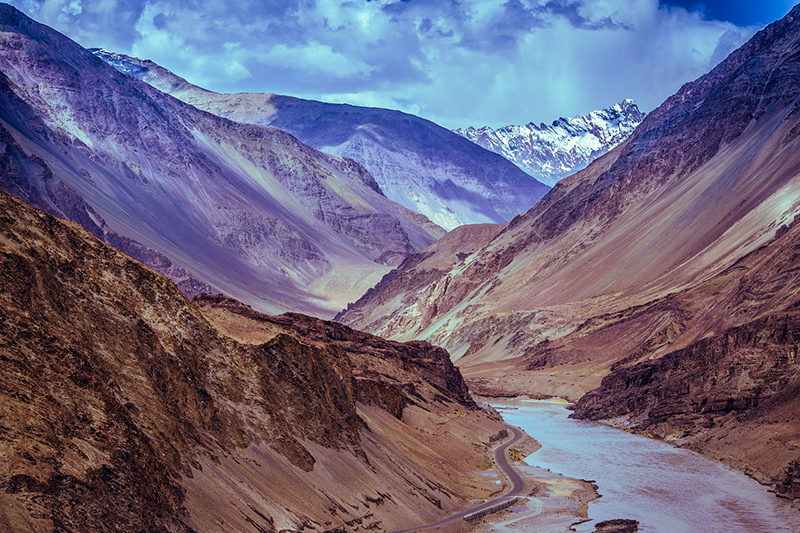 The ride threads through valleys, with two decent pass climbs, passing glaciers that drape down towards the road, and impossibly blue glacial lakes. There’s a good roadside shoulder so you don’t need to cycle in the traffic, but be alert – the scenery and the wildlife can be very distracting to the drivers around you. An emerging cycling favourite for Australian travellers, the adjoining countries of Costa Rica, Nicaragua and Panama offer tremendous variety in a compact area. Through Nicaragua, you can pedal along the shores of one of the world’s largest lakes, surrounded by active, bubbling volcanoes. 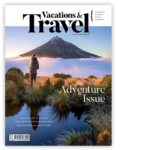 Crossing into stylish Costa Rica, routes take you up into the country’s lush cloud forests, where you might spy monkeys or even toucans overhead – hot springs around the Arenal volcano can soak away any soreness from the climbs. 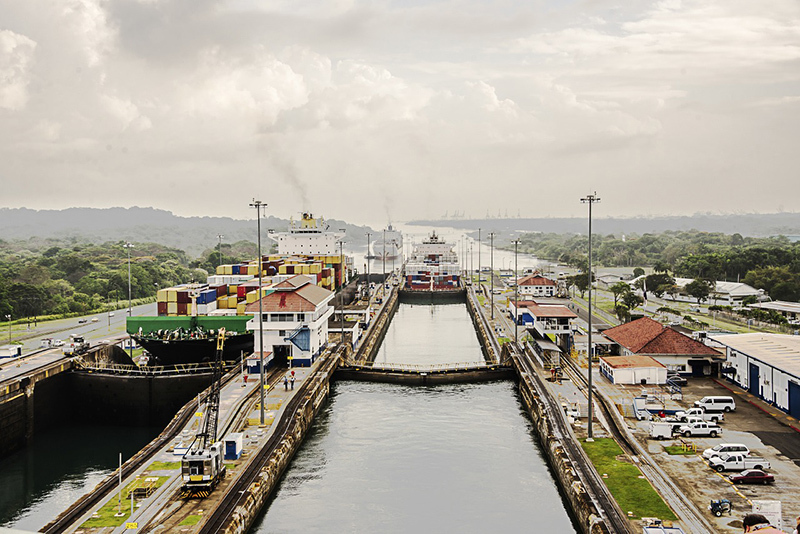 Natural wonders yield to a human wonder in Panama, where there’s the chance to cycle much of the 77-kilometre length of the Panama Canal. 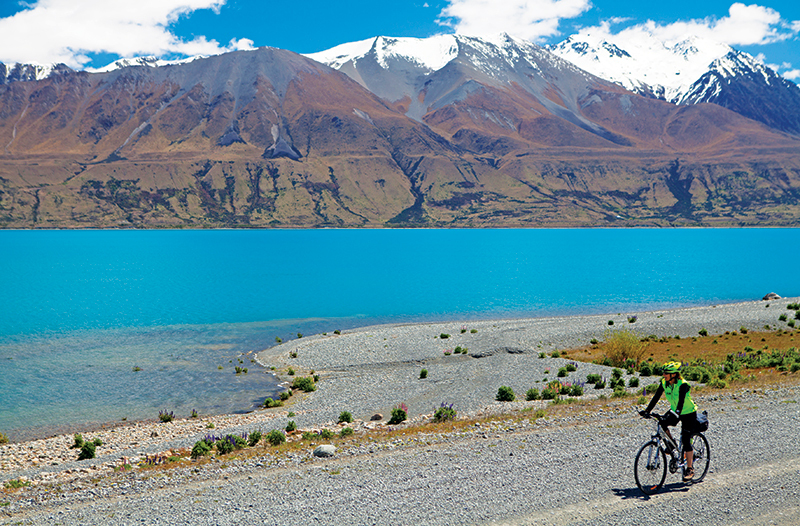 For accommodation along the Alps 2 Ocean trail, The Hermitage and Lake Ohau Quarters are excellent options.